Supporting the community and humanity in need is a meaningful cause that Ebony & Ivory holds very close to them. For years Ebony & Ivory have worked one-on-one with community organisations, aiding those locally and continents world wide. Ebony & Ivory continue to make donations and support causes in the aim of giving hope to those in need and making a difference wherever possible. Ebony & Ivory has worked with the following organisations in giving back to the community. The Kimberly Girl encourages young Indigenous women throughout the Kimberly region to participate in modelling workshops which provide professional development, demeanour and grooming. The Kimberly Girl discovers beautiful role models and mentors throughout the Indigenous community. Ebony & Ivory further support the empowerment of Indigenous women in the Moorditj Yoka Dreaming Fashion Show. Ebony and Ivory Believes in Giving back to the community that support us through various activities that inspire our young ones and our community at large. With SOME of our FREE LIFE SKILLS EBONY & IVORY workshops we are able to host events that would inspires someone to find there own light and takeaway something they can use in life to make a better life for them self and help this world a better place . 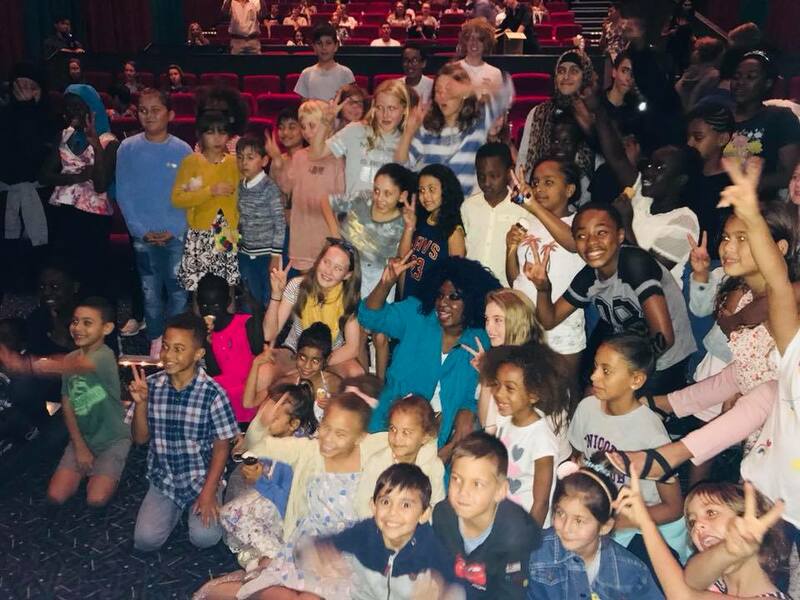 On March 21st Ebony and Ivory hired a movie cinema for a private movie screening of A wrinkle in Time for 200 kids. This was made possible with the support of our friends, clients, business and Astor Star Taylor Richardson 15 year old from the USA who gave us $1000 to go towards this screening when Oprah Winfrey gifted her $50,000 to march what she had raised to showcase this movie to many kids near and far. We choose to showcase this movie to kids because of its Diverse inclusions directed by Ava Duvernay and the life skills and light that the kids were able to takeaway from this movie. From this Movie screening we have since be able to share it with more kids and managed to start a book club . Reach out to see how you kids be part of what we share.